Nell returns to the mountain village in Crete where she met and fell in love with Stelios 18 years earlier. She hopes to rekindle their romance and introduce him to the daughter he never knew. 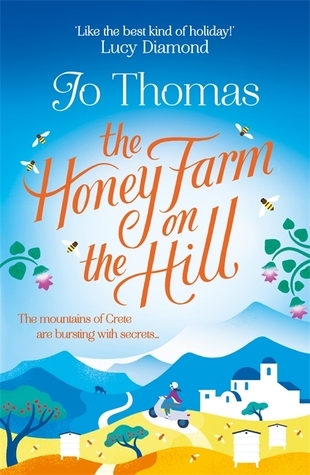 She takes a job working on a honey farm in Vounoplagia but soon discovers life doesn't always have a happy ending. 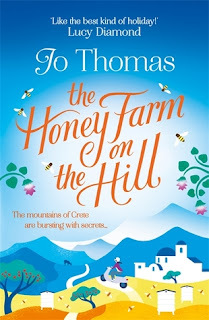 The Honey Farm on the Hill is a wonderfully enjoyable and charming read. Over the years I've only occasionally dipped my toes into the Romantic Fiction genre and most of those have been uninspiring. However this one is simply delightful. It's fabulously well-written with characters so realistic they leap off the pages. I was transported to Crete - the sights, the sounds, the smells, the people; in fact everything felt completely authentic. I started this book with some trepidation thinking I may be opening myself up to some cheesy chick lit but on the contrary, this book has substance. Add to that a beautiful setting in Crete and you have the perfect summer holiday read. 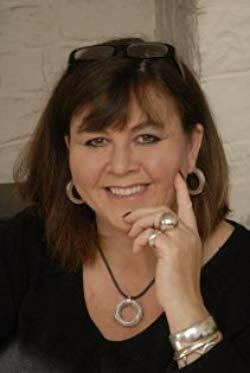 Jo Thomas worked for many years as a reporter and producer, first for BBC Radio 5, before moving on to Radio 4's Woman's Hour and Radio 2's The Steve Wright Show. In 2013 Jo won the RNA Katie Fforde Bursary. Her debut novel, The Oyster Catcher, was a runaway bestseller in ebook and was awarded the 2014 RNA Joan Hessayon Award and the 2014 Festival of Romance Best Ebook Award. Jo lives in the Vale of Glamorgan with her husband and three children.